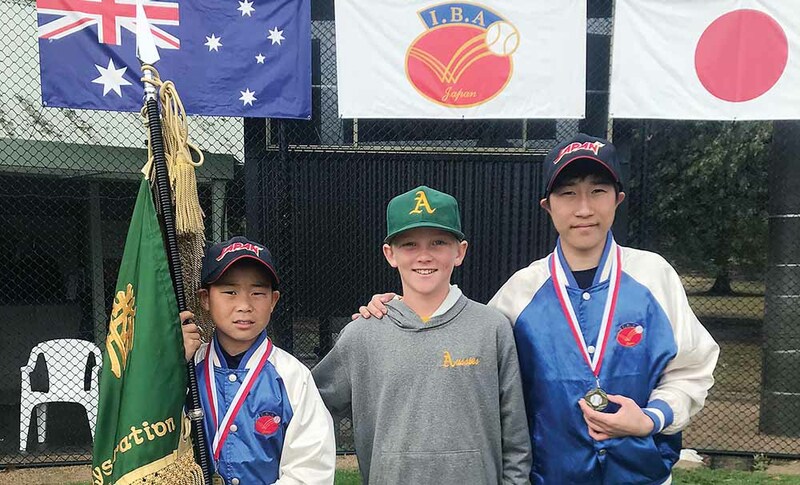 SCHOOLBOY Sam Walsh lives and breathes baseball to such a degree that his dream of playing the game professionally in the US when he “grows up” could well be achieved. The talented batter and catcher, who plays for the Mornington Pirates but has also played with the Bonbeach and Cheltenham baseball clubs, is already a veteran campaigner despite being only 11 years old. In his first love of baseball, Sam was named most valuable player at a state-wide competition held at Mildura and was judged the fourth best player in the state. As a batter he has averaged more than 530 runs over the past four years yet his forte is catching. Sam is a member of the under-12 All Stars team playing at Knox over Easter with the winner’s reward being an invitation to compete in the national championships at Lismore (NSW) and a possible place in the US World Series. He is set to play a 12-game Friendship Carnival tour and is gearing for a trip to Japan in July to compete – as captain – in an International Baseball Association 16-game tournament. But baseball is not his only passion: Sam also enjoys softball and recently made the state team playing in Adelaide, as well as being scouted for the Frankston under-15 and under-17 teams despite being only in sixth grade at Mornington Primary. He was also named a regional Victorian champion at karate. Sam said he loved baseball because it is “fun”. “I love the running but catching is my favourite part,” he said, citing as his hero US player Manuel “Manny” Arturo Machado of the San Diego Padres. In the lead-up to the Japan trip Sam hosted two Japanese players at his home which he described as an “awesome experience”. Dad Steve said one of the visitors – the captain of the Japanese team – spoke “a little English and the other hardly any” but they all got on well together. The family has started a gofundme campaign to help pay for the Japan trip. Contact Mr Walsh on 0407 528 382.